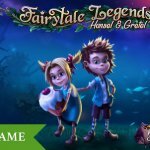 Play Fairytale Legends: Hansel and Gretel for real! What to do when you’ve been abandoned by your dad and stepmother in the forest, won-dering for days while a house made of gingerbread is right in front of you. Hungry as you are, you probably start eating from the house to satisfy your hunger. And that’s exactly what Hansel and Gretel did, but it brought them into a lot of troubles.It was only a few days before that their stepmother and father were planning on leaving the children in the middle of the forest. Hansel and Gretel overheard them talking and Hansel, the smartass, decided to stack up some pebbles at moonlight and went back to bed. In the morning, the children were woken up by their stepmother for a day out in the forest and on their way there, Hansel left a trail of pebbles in order to find the way back. They managed, but the day after his stepmother locked the door and all Hansel had was a piece of bread. What seemed to be another great plan, turned out to be a drama as the cheeky birds in the forest were hungry and ate all the breadcrumbs. Hansel and Gretel got lost, unable to find their way back to the forest and ended up in front of the candy house. What they didn’t know yet, was that the Candy house belonged to a witch who appeared to seem like an old friendly lady at first. Nothing is what it seems, the children learned that day, but until then they enjoyed a nice hot meal and the softest bed they ever slept on. Sounds like a fairytale in a fairytale, but they were about to find out that Hansel was on the witch’s menu. He was the golden ingredient for one of her recipes and it was up to Gretel to feed her brother until fat. Digging holes in the ground, Hansel was able to hide the big amounts of food after which the witch decided the recipe was going to involve a skinny Hansel. Gretel acted like she was unable to check the over so the witch took over, the moment that Gretel gathered all her strength in order to push the witch in the oven. That’s when they escaped to finally find their way back home where their father was happy as can be to see them again, feeling super sorry. The children forgave their old man and they’ve been living happily ever after. It’s the above fairy tale that inspired the team of talented developers at NetEnt. It’s there-fore that you’re now able to continue your legendary adventures with the second fairy tale out of the fantastic trilogy. In this second leg of the Fairytale Legends Trilogy, Hansel and Gretel are again being forced to embark on a wondrous journey through the deep dark woods. This time NetEnt stands beside them, making sure nothing bad happens to the two sweet children. Doing my research to make the best of this video slot review, I watched some of the Hansel and Gretel stories on YouTube, but I have to admit I prefer NetEnt’s version. Playing the Fairytale Legends: Hansel and Gretel™ slot, you’ll be saving yourself the annoying voices of the witch and stepmother while enjoying an enchanting background song. Besides, Hansel and Gretel have been pictured nicer than in any of the YouTube videos I’ve been watching. It’s obvious that NetEnt has been investing a lot in all aspects of this fairytale-themed vid-eo slot including its design, the gameplay, and the slot features. The original characters are a great addition to the video slot experience, but I’m sure you’ll appreciate the wide range of video slot features as well. 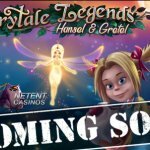 Get ready for a another enchanting video slot experience at one of the NetEnt Casinos the Fairytale Legends: Hansel and Gretel™ slot is available and enjoy the original characters, as well as Stacked Wild Re-Spins, three Random Features, and three Bonus features in-cluding a Coin Win, Free Spins, and the innovative Candy House Bonus feature. With a minimum bet of 0.10, the Fairytale Legends: Hansel and Gretel™ slot is pretty av-erage while the maximum bet of 200.00 is a bit higher than the average. I’m sure you’ll find a bet suitable for your way of playing with the help of 10 different bet levels and 7 coin values. 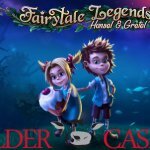 NetEnt again managed to bring another classic fairytale back to life on the reels in Fair-ytale Legends: Hansel and Gretel™ slot. Nothing has been left out of the story which means you’ll be entertained with slot features inspired by Hansel and Gretel, the witch, the candy house, the candy, and the cheeky birds. 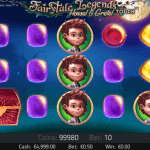 This while NetEnt’s fairy returns on the reels as well being responsible for the three Random features available in this sec-ond Fairytale Legends slot game. The fun starts with the Both Way Win function available which leaves space for the win-ning combinations to appear from either left to right and right to left. 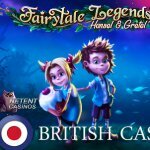 It’s because of this that many extra combinations can become reality while playing the Fairytale Legends: Hansel and Gretel™ slot at one of the NetEnt Casinos. It’s just the start as there’s much more to come once you spin the reels of this fairytale-themed NetEnt slot. During the main game, you’ll be entertained with Stacked Wild Re-Spins. The Stacked Wild symbols can appear on reels 2 and 4 during the main game. Dur-ing the Stacked Wild Re-spin activated when a Stacked Wild symbol appears entirely on the reel, Stacked Wilds will be landing additionally on reels 1 and 5. While the Stacked Wild seems like the only feature available during the main game, it’s those hidden features you will be looking forward too. There are three of them, known as Random features, and they will be randomly activated by the fairy. She’ll appear randomly on the reels during the main game activating either a Fairy Wonder Spin, Fairy Surprise, or Fairy Wild Spin. The Fairy Wonder Spin will be responsible for a cluster of 5-9 game logo symbols. These can appear anywhere on the reels, as an overlay, and will stay there for the upcoming spin. The Fairy Surprise feature can be activated in case of a no win situation in the main game. That’s when a symbol is selected and other symbols will be turning into the selected sym-bol just until a win occurs. Two full stacks of Wild symbols will randomly appear on reels 1,2,4 and 5 once the Fairy Wild Spin is activated by the luminous fairy. This will most probably result in a big win situation after which a Stacked Wild Re-spin will be activated as well for even more win-ning fun on the reels. But no Hansel and Gretel™ slot without the witch and the Candy House, right? But how did NetEnt manage to enrich this video slot with even more slot features? Well, that’s sim-ple, by adding another bonus round in which you can pick a treasure chest. Not totally un-known in a video slot and commonly used by the software developers, this feature is as simple as can be. You pick one of the chests and will be awarded a bonus. In this case, you can end up with a coin win, Free Spins or the Candy House Bonus. The Coin Win sounds unattractive compared with the other two bonuses, but with a high Coin Win, you might end up feeling lucky anyway. The Free Spins feature sounds boring, but trust me, if the luck is on your side during your 10 Free Spins, you’ll be pleased after all. The Candy House Bonus is probably the most attractive of the three, simply because it brings you an innovative bonus round. You’ll participate in this bonus round as it’s up to pick three candies. Each of them will show a Multiplier that can go up to x120. Multipliers won’t be revealed until only one candy left, which means you can continue to pick the last candy or you end the bonus by taking the deal which will be an average of the three Multi-pliers hidden behind the three candies. It’s the deal or no deal situation that makes this Candy House Bonus rather interesting, especially combined with some marvelous animations and graphics as can be seen throughout this entire magical fairytale-themed slot game.